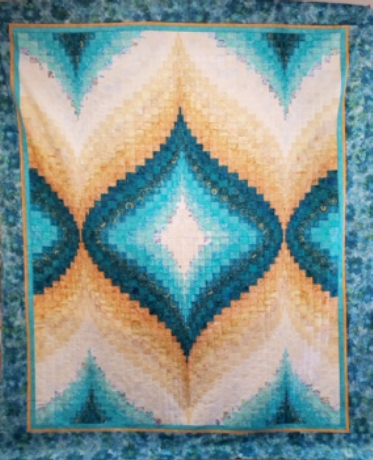 This colorful quilt is unique in that you have three different designs from which to choose. Your decision is made after sewing the top half and the bottom half! Instructions are included in the pattern on how to achieve these different designs. Click here for supply list.